People have become larger since seats are shrinking. A court ordered the FAA to regulate seat sizes and legroom on commercial airlines. Airplane seats have shrunk in the last decade and a court wants the Federal Aviation Administration to prove that they are still safe. U.S. Court of Appeals Judge Patricia Millett described the issue in a decision she and two other judges gave the FAA six months to provide documentation to back up its argument that it shouldn’t regulate seat sizes and legroom on commercial airlines. The Federal Aviation Administration has 60 days to appeal the decision. “The case of the incredible shrinking airline seat,” as the federal judge in Washington D.C., Patricia Millet, wrote in the 23-page decision on Friday, began with an advocacy group called FlyersRights. Previously, in 2015, Flyers Rights petitioned the Federal Aviation Administration to implement new rules to regulate seat space. At first, the agency refused to review how much space airlines must provide to customers on planes. But the judge’s current decision will force the government to revisit the issue. FlyersRights raised its concerns about the fact that small airline seats are actually a safety hazard, putting passengers at risk for potentially fatal conditions like deep vein thrombosis that can cause blood clots in someone’s legs. They have also noted that airlines are likely to be out of step with the realities of people’s needs, particularly in light of increasing obesity rates. The group described the case of a passenger who described climbing over seats to get out of a row and another who claimed a plane could not have been evacuated in an emergency in less than 3 minutes. 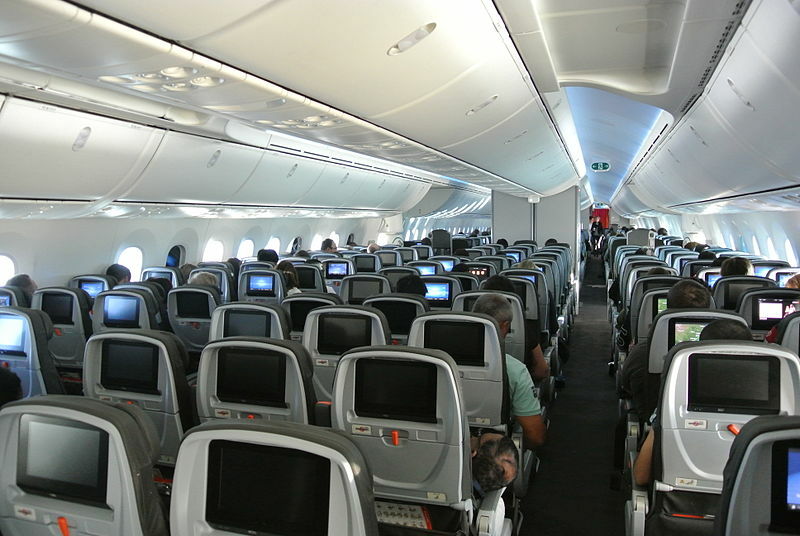 Do you think seats have shrunk too much, or are you still comfortable on planes? This entry was posted in Airport, New Technologies and tagged aircraft, transportation, travel. Bookmark the permalink.